Next week I begin this conference. Recognized writers, editors, publishers and critics from the literary world gathering for three weeks of professional instruction and input. Total immersion in our craft and an opportunity to network with some of the best players in the industry. I can’t wait, let it begin! Support Your Independent Booksellers, CLICK HERE! 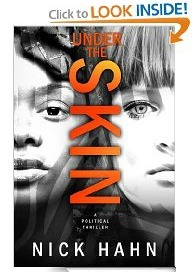 In Under the Skin, a brutal African dictator is challenged by two young women from different worlds: Maggie Kincaid, born to wealth and privilege in New York, and Nabby Kibugu, born to poverty and obscurity in the African bush. Their unlikely friendship sparks a fiery political drama with the potential to upend the leadership of a country and change the lives of millions. Maggie is working as an intern for an American company in Uganda when she meets longtime pen pal Nabby. She becomes ensnarled in a clandestine political campaign to elect Nabby as the first female president of Uganda. The women risk everything as they take on a corrupt, abusive government. In a startling move, they decide to enlist the improbable help of a notorious warlord, and it’s anyone’s guess as to whether their dangerous gamble will pay off. Nick Hahn started his career as a writer while a student at the University of Notre Dame. He went on to become President and CEO of New York-based Cotton Incorporated (Cotton, The Fabric of Our Lives). 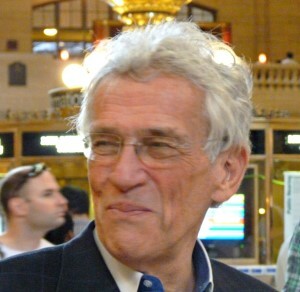 Leaving Cotton in 1997, he formed Hahn International, LTD, an agribusiness consulting group focused on the Third World. For fourteen years, Nick has lived and worked among indigenous peoples from Africa to Latin America, his travel diaries often reflecting social and political unrest. Under the Skin is his first novel. Nick is married with four children and six grandchildren. He makes his home in rural eastern Connecticut near Long Island Sound, where he writes and narrates audiobooks.